Evita Peron, Madame Mao Jiang Qing, Joséphine de Beauharnais (the first wife of Napoleon Bonaparte), Imelda Marcos, and Rosmah Mansor (second wife of Najib Razak, ex-PM of Malaysia) were widely known to be “Political Wife Foxes”. A Political Wife Fox is named after Daji, the beautiful queen of the last emperor of Shang Dynasty. In legendary tales and dramas, she was portrayed as a nine-tailed fox that transformed into human form. She is considered a classic example of how a beauty can cause the downfall of a family dynasty, presidency, business, or relationship. Some of these Political Wife Foxes faced the return of bad karma such Madam Mao Jiang Qing Imelda Marcos, and Rosmah Mansor. Rosmah Mansor (second wife of Najib Razak, 6th PM of Malaysia) has been the subject of criticism on the Malaysian blogosphere, with critics focusing on her alleged reputation as a spendthrift and dominance over Najib’s political and social agenda, her misuse of government’s private jet, and shopping sprees like Imelda Marcos. She has been photographed with designer handbags including numerous Birkins and expensive jewellery. Many can see the obvious parallels with the Marcos dynasty. Evita Peron was an actress with a dubious past yet, she seduced Argentine President Juan Perón to become his second wife – by being intensely loyal, mirroring his every idea, puffing him up endlessly. She then seduce an entire nation the same way. In a 1996 interview, Tomás Eloy Martínez referred to Eva Perón as “the Cinderella of the tango and the Sleeping Beauty of Latin America.” Martínez suggested she has remained an important cultural icon for the same reasons as fellow Argentine Che Guevara. Eva Perón has become a part of international popular culture, most famously as the subject of the musical Evita. Cristina Fernández de Kirchner, the first elected female President of Argentina, claims that women of her generation owe a debt to Eva for “her example of passion and combativeness”. Madame Mao Jiang Qing could sense how desperate Chairman Mao Zedong for a bit of color and spice in his life; all the camp’s women dressed like the men. Jiang had been an actress in Shanghai appealed to his Pygmalion complex – the desire to dominate, control, and remake a person. In fact it was Jiang Qing who controlled her future husband. Jiang Qing was best known for playing a major role in the Cultural Revolution and for forming the radical political alliance known as the “Gang of Four”. The Cultural Revolution caused the death of 30 million people was the worst genocide in history. Jiang Qing was sentenced to death, which was commuted to life imprisonment. While in prison, Jiang Qing was diagnosed with throat cancer, but she refused an operation. She committed suicide on May 14, 1991, aged 77, by hanging herself in a bathroom of her hospital. Joséphine de Beauharnais, a widow, had a reputation as loose woman. She capitalized on her foreignness and would flatter Napoleon Bonaparte’s insecure ego with attention. Two days after his wedding, Napoleon left to lead a campaign against the Austrians. His generals saw him distracted; he would leave meetings early, spend hours writing letters. Imelda Marcos (born July 2, 1929) is the widow of former Philippine President Ferdinand Marcos. 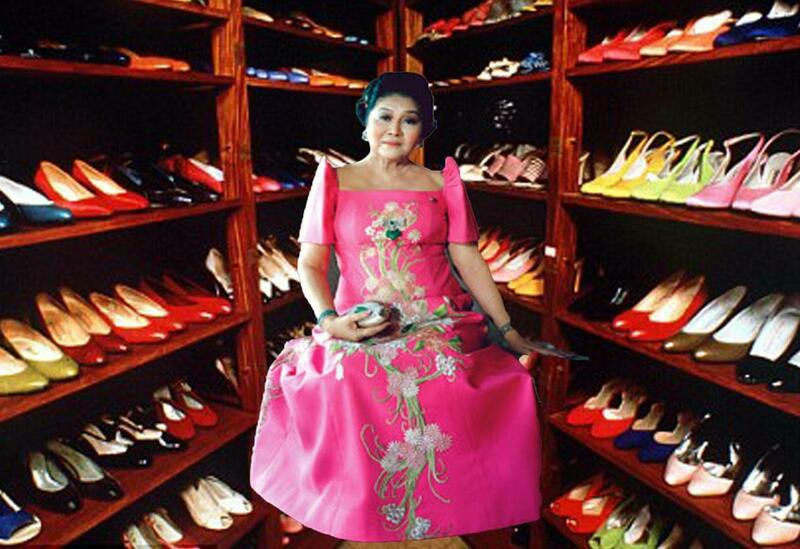 During her time as First Lady, Imelda was seen as a “symbol of excess” due of her expensive shopping sprees. She would later join a beauty pageant known as Miss Manila where she placed second but was named the Muse of Manila after contesting the results. Early in 2013, the International Consortium of Investigative Journalists exposed her daughter Imee among people involved in offshore banking. Imee was helping Imelda hide their wealth in the British Virgin Islands. Ferdinand Marcos ruled as dictator under martial law from 1972 until 1981. He became infamous for corruption, extravagance and brutality like . He was elected President in 1965. During his term, the Philippine national debt grew from $2 billion to almost $30 billion – while used to fund development projects, about USD5 to USD10 billion of which the Marcos family had plundered, according to source documents provided by the Corazon Aquino-created Presidential Commission on Good Government. Marcos has a parallel with Suharto, the second President of Indonesia, holding the office for 31 years. According to Transparency International, Suharto is the most corrupted leader in modern history, having embezzled an alleged $15–35 billion during his rule. In the years after his presidency, attempts to try him on charges of corruption and genocide (730,000 to 2 milllion were known to be killed) failed because of his poor health and because of lack of support within Indonesia. However, no one can ever escape the return of Karma in the current or future lifetimes. History repeats itself with the Political Wife Foxes, from the days of Helen of Troy (which started the Trojan War), Cleopatra and Dellilah to Imelda Marcos. Grace Kelly was an American actress who, after marrying Prince Rainier III in april 1956, became Princess of Monaco. She was a benevolent 9-tailed political Kitsune Fox from young. Political Wife Foxes are usually beautiful when they are young. 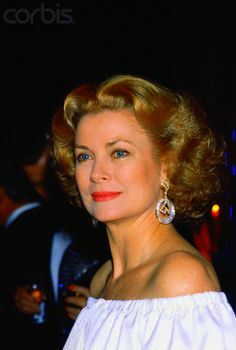 The less evil Foxes or Foxes who reformed into a benevolent Kitsune (like Evita Peron who is still worshiped today like a saint) can age with grace and elegance like Grace Kelly. But, the evil Foxes who plunder and order murders will likely grow old and ugly. “Daji 9-Tailed Fox Karmic Debt” is one of the 26 Big Karmic Debts. Updated on 18 May 2018.